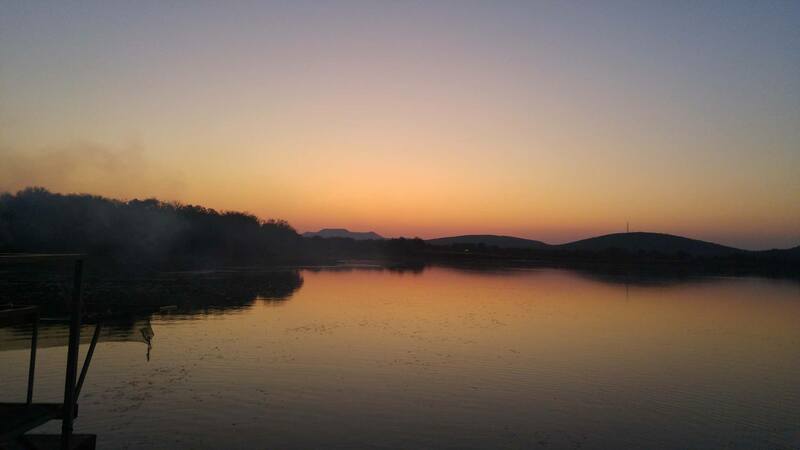 As I write this, I have only eight days left in Gaborone now. My internship has been an amazing experience and I am filled with a lot of mixed emotions about having to leave so soon. 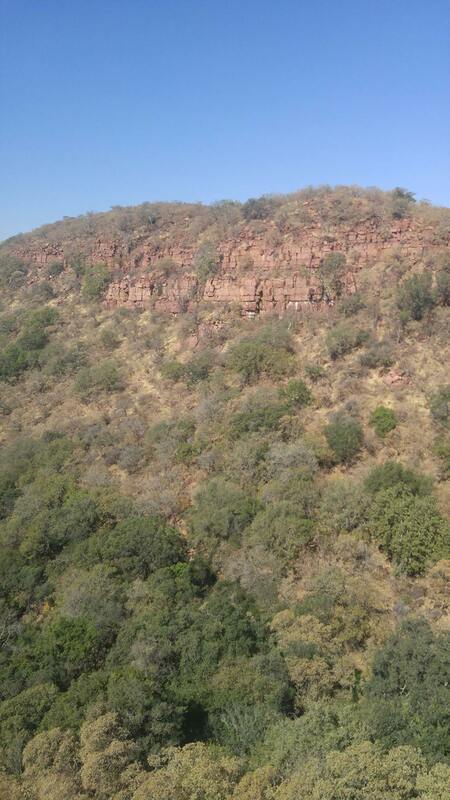 Botswana has definitely left its mark on me and I hope my stay here will have an impact after I leave as well. Our beach volleyball coaches and their athletes are now in their final week of our eight week program. They are continuing to train hard and are very excited for the tournament that will take place this coming Saturday. Liz and I are making our final preparations for the tournament and are also very excited to see the progress of the kids when they compete against each other. 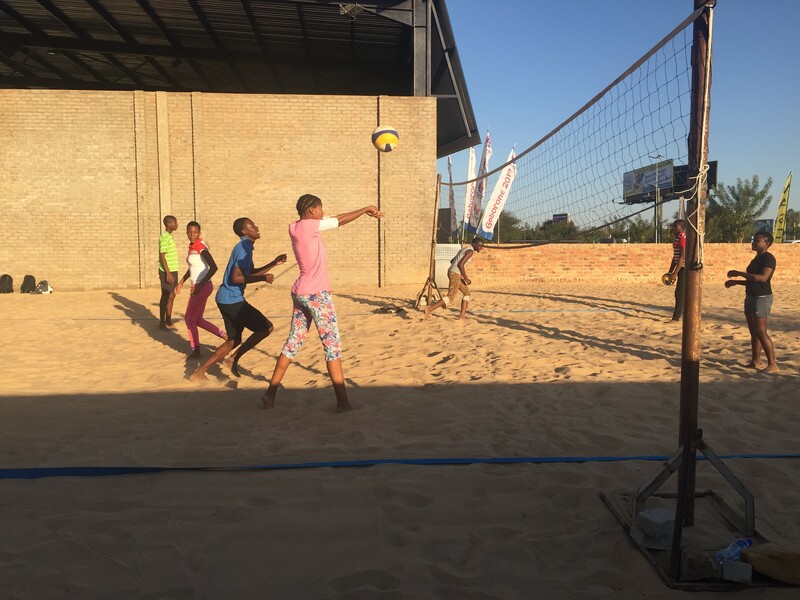 We are sending out invitations to many important stakeholders and hope that our tournament can generate even more excitement about beach volleyball in Botswana. We especially hope to have representatives from Botswana Integrated Sports Association in attendance. They organize inter-school sport competitions and convincing them to include beach volleyball in their program would be a huge step for the sport. 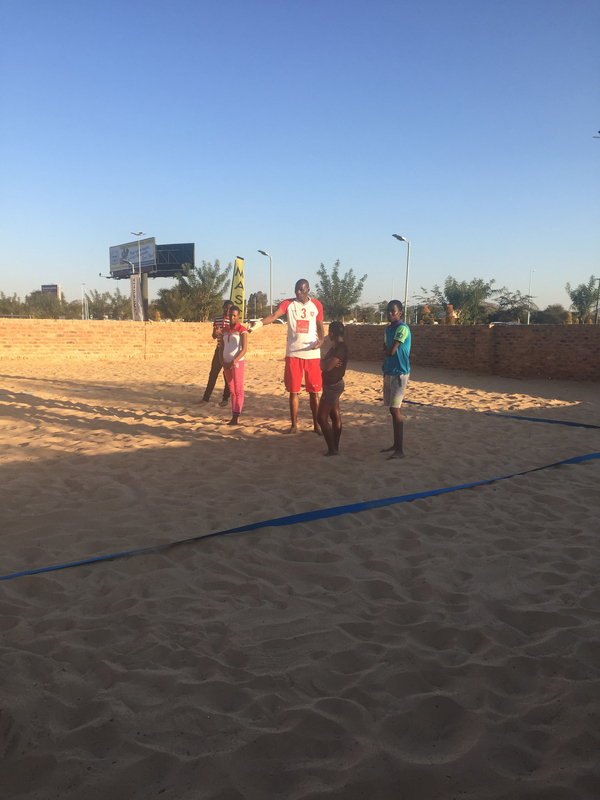 Our beach volleyball coaches and their athletes are now in their final week of our eight week program. They are continuing to train hard and are very excited for the tournament that will take place this coming Saturday. Liz and I are making our final preparations for the tournament and are also very excited to see the progress of the kids when they compete against each other. We are sending out invitations to many important stakeholders and hope that our tournament can generate even more excitement about beach volleyball in Botswana. We especially hope to have representatives from Botswana Integrated Sports Association in attendance. 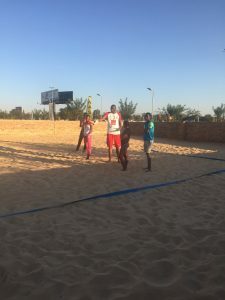 They organize inter-school sport competitions and convincing them to include beach volleyball in their program would be a huge step for the sport. We have been splitting time between the Olympic Committee and Volleyball Federation offices as we try to fulfill all of our duties. Our regular lunch lady at the Volleyball Federation does not like when we work at the Olympic Committee and is always excited to see us back. As we prepare for the tournament we are also putting our finishing touches on our volleyball-specific Long Term Athlete Development model and its accompanying action plan. We hope these documents will help guide Botswana in their efforts to improve both their indoor and beach volleyball programs. On Friday we will have a final meeting with our coaches to wrap up the program. One of our points in the meeting will be to encourage them to promote Long Term Athlete Development and its principles after we are gone. The best lunch lady in Botswana! 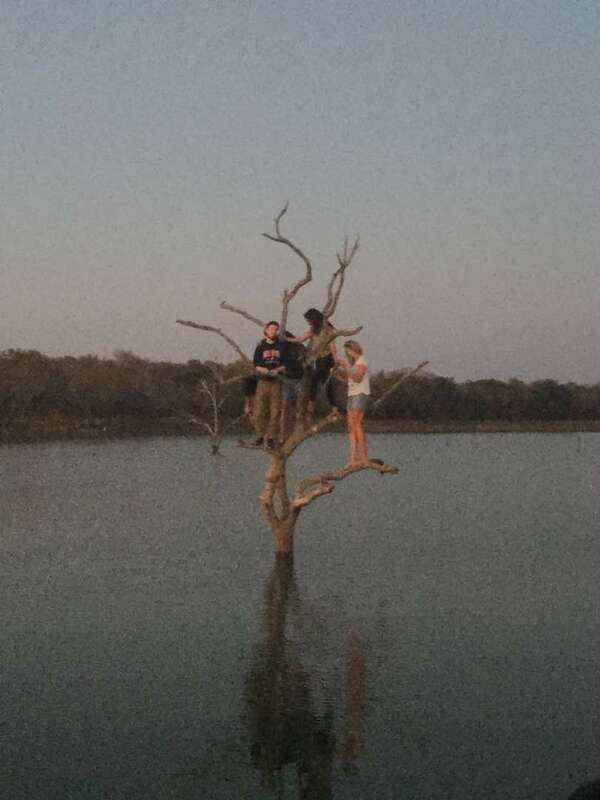 We have continued to have a blast here in Botswana outside of work. We have spent lots of time with friends and got to celebrate a few birthdays over the last couple of weeks. 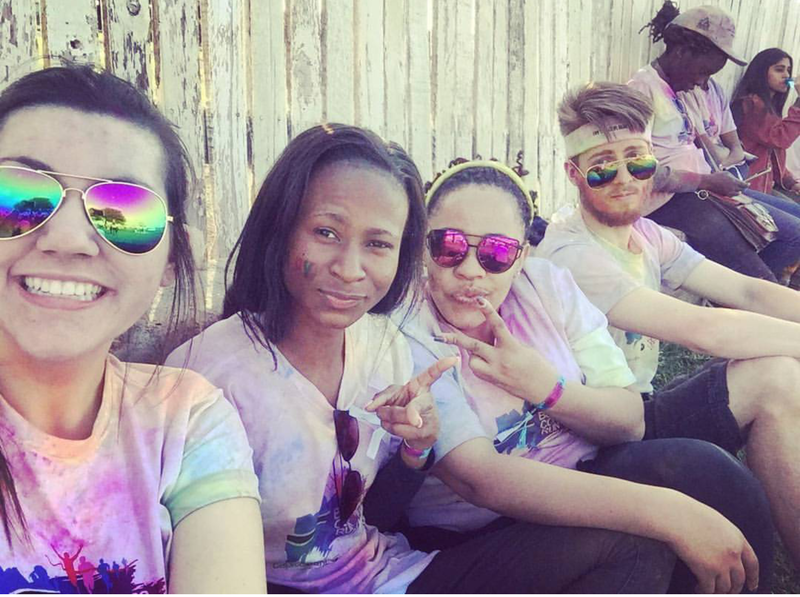 We also participated in the Botswana colour run with a few friends. We didn’t do much running but we had a great time getting as colourful as possible while enjoying the music the DJs played throughout the day. This past weekend we went for a cruise down the river on a friend’s barge. 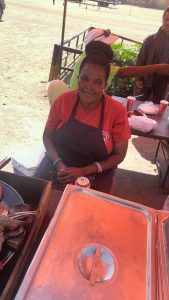 He crafted the vessel himself and it managed to safely hold about 20 of us and a braai to cook some food for everyone. 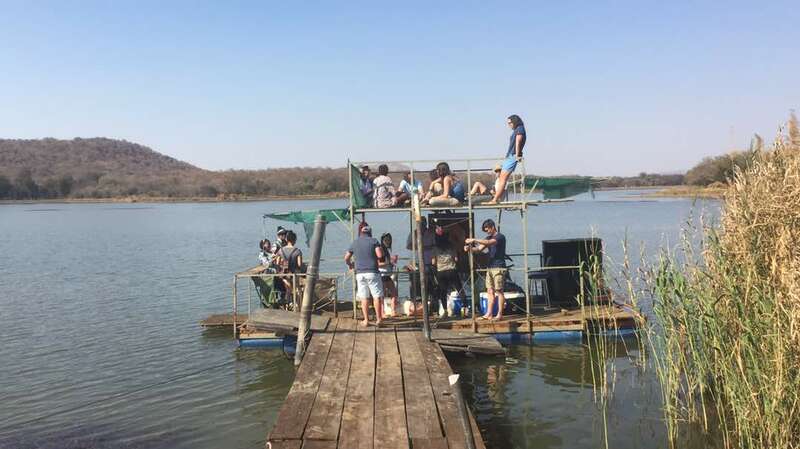 It was an awesome afternoon hanging out on the barge, eating and drinking with friends. We took in a beautiful sunset and I also had the chance to venture out of the boat onto a tree jutting out of the water. 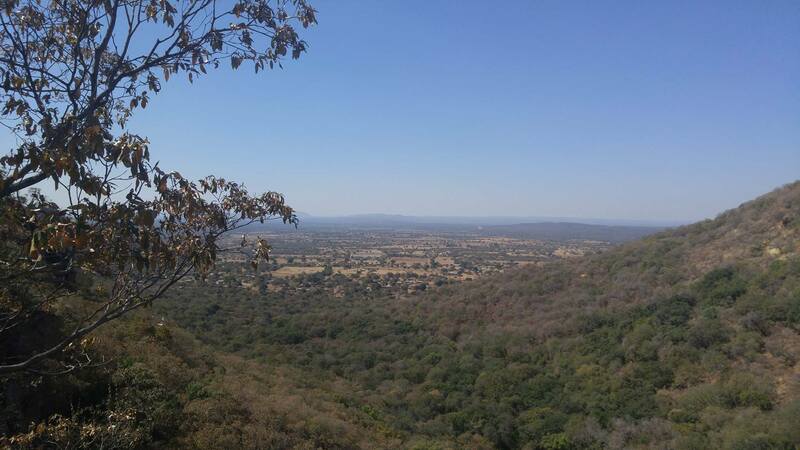 I also kept busy by going on a couple more hikes. 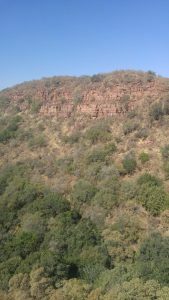 I hiked up Kgale hill again and climbed to the top of a local gorge with a friend. Both hikes were challenging at some points (especially the gorge) but the views are always well worth the effort. Elizabeth and I both have one more blog post left. 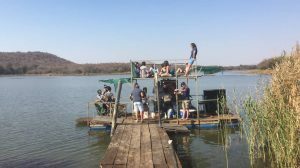 Make sure to visit the blog again in a couple weeks to hear about the tournament and the conclusion of our adventures in Botswana.